The ‘Flower Shower’ girls (Penny and Berry) were the 18th Limited Edition releases for JerryBerry, and the Summer release for JerryBerry. When they were announced, I love all the teaser photographs for them. Light, airy, with a little summer breeze. The girls looked sleepy and glowy as they passed summer days and nights. With this in mind, and keen to see what the process was like to order a Limited doll from Jerryberry, plus I was in my Jerryberry loving mode. Penny arrived 6 weeks after I ordered her. Limited edition girls take 6-12 weeks to produce compared to the 4 weeks of the Basic girls. Penny was originally designed to have a semi-gloss face, but I prefer my girls matte, and asked for her to be finished that way. She arrived beautifully packed in a brand new box, different in design to my other two JB boxes. I kind of love it. Like my Basic girl, she was packed extremely well, with a few little extra hair ties and a headband thrown in the box as well. I wanted to show you a picture of the inside of the Jerryberry box – it’s a gorgeous little water colour painting with illustrations. The little black box that has tape over it holds her special flower clip. 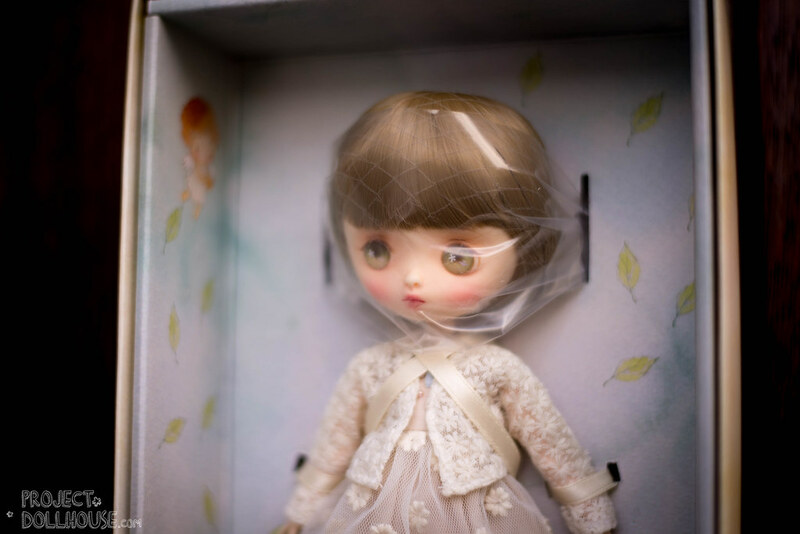 They tied her into the box in a criss-cross of satin ribbons, much easier to remove than a Blythe or Pullip. You can tell she’s been packed with love. Netting protects her hair, and a plastic slip protects her face up. Penny came out of the box looking lovely. Her eyes are glossy and her cheeks are highly blushed. Even without the semi-gloss finished, she looked like a girl who was primed for warm weather. Her gorgeous outfit was made by Choco Cookie, and her cute shoes by Atelier613. 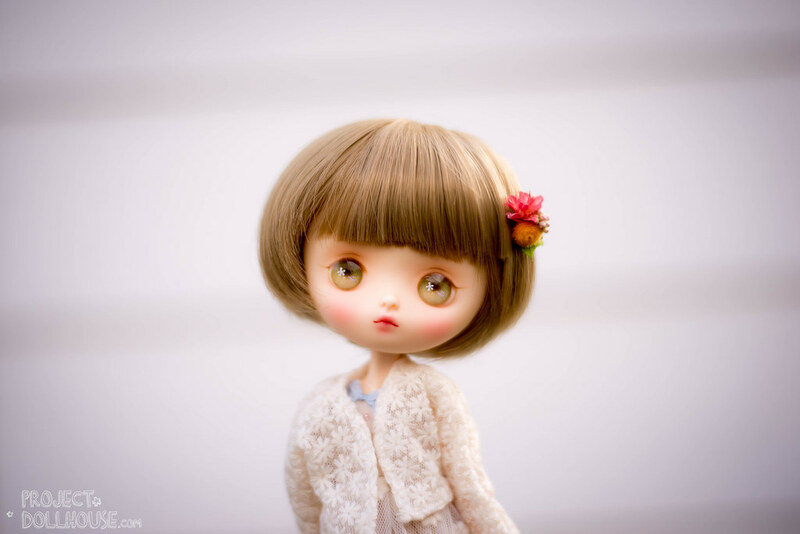 Her face-up, as usual, was completed by EsteBebe. How adorable is her outfit? A flowered lace cardigan over a little dress with beaded buttons and a periwinkle blue ribbon. The skirt is a warm pale pinkish mauve and beige with the lace daisies on top of the skirt. She has matching lace socks, and leather (pleather?) shoes with little bows to finish. Here she is with her little adorable hair clip on. Can you see her lovely olive green eyes, with little flowers painted in them? Here she is clutching the box that her flower piece came in. It seems to be made of tiny dried flowers – its a gorgeous little clip. Here is penny sitting next to Basic Berry. She’s a bit more contemplative than spaced-out berry. Her hair is a green-tinged brown blob and she looks… slightly sad, or perhaps worried. I’m not sure why. Maybe she thought she would be going out to play and discovered the day was raining. Penny doesn’t have that innocent look that Berry had that made me fall in love with her immediately. That being said, even Winter Berry doesn’t. I think there is a charm to the basic – Penny is almost like work of art. She’s dreamy, and she’s stuck in the springtime waiting for summer to arrive. She’s old school in her laces and beiges, and filled with hope for flowery fields. She’s the older sister. Basic Berry is the little child, inquisitive, a bit of a trouble maker. I find myself drawn to the basic a lot more – but I completely adore love Penny’s outfit. Here are the two of them hanging out on an architectural model with the ever-wonderful Toffee. 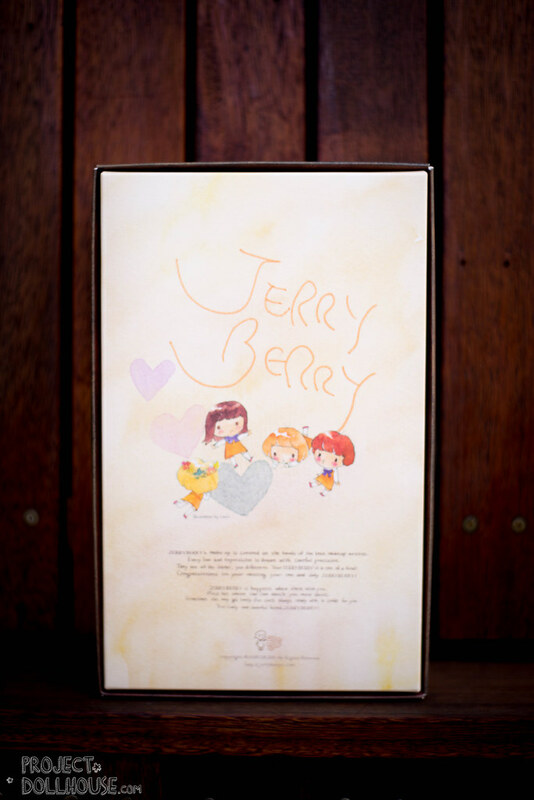 Jerryberrys are adorable aren’t they? I’m only missing Berry now, but I think it’ll be a while before I add her. Right now though, I’m a definite Berry fan. I really want one now!! 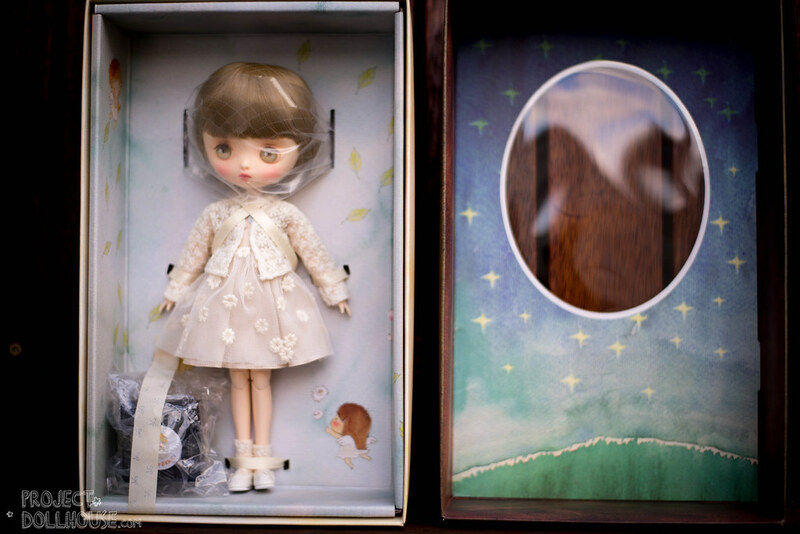 Maybe a basic… Maybe… I actually want too many dolls now, and on top of that now I want an expensive digital camera (that Fuji film one ! Also will you be buying extra wigs for your Jerry berry’s? I actually got one with my Basic! I’ll have to show you guys how she scrubs up! I’m hoping that they come out with a winter special edition 🙂 I’m itching for one of these girls! I LOOVE their winter girls 😀 But Make A Wish is still one of my favourites! Like a little fairy! Oh, how lovely she looks. Just like a girl who stepped out of a fairy tale. I didn’t know anything about Jerry Berries until I found them in your blog. And now I’m afraid I will have to add one to my collection on top of the pullips and byuls. It is amazing how lifelike their eyes are… and they are only painted. The person who painted them did a great job. Jerryberry’s creeped up on me too. One day, I found them on Flickr and suddenly… I couldn’t get enough of their little expressive faces! Plus, unlike Pullip, they stand really easily. They are very easy to love. I enjoyed your review and your photographs very much. 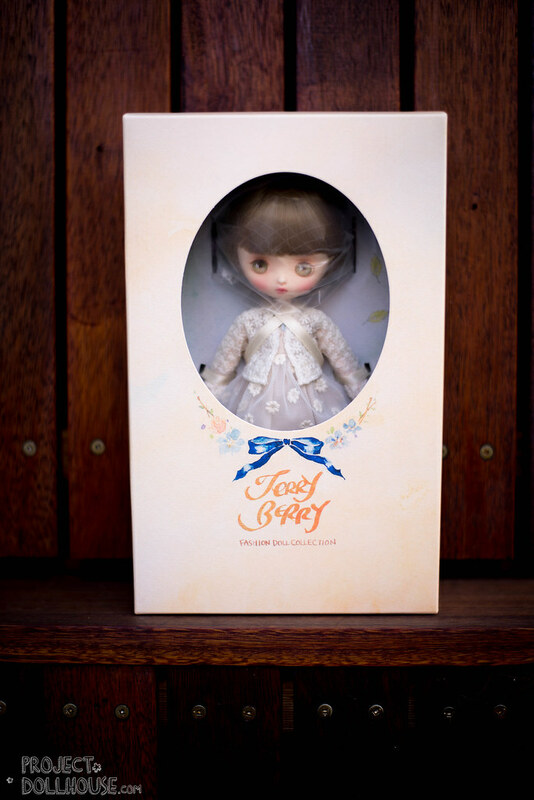 Your doll is beautiful. I’m currently waiting for my basic Berry and Penny to arrive. 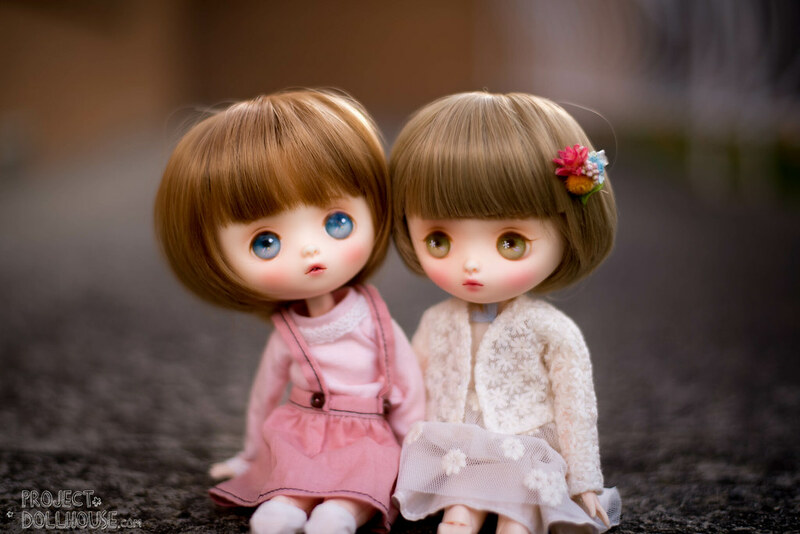 They are my first Jerrberry dolls and I can’t wait to see them in person.